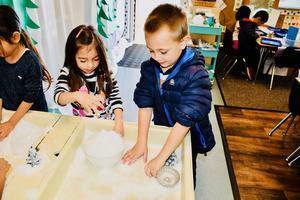 DIAMOND BAR, CA—Castle Rock Elementary students stepped into transformed classrooms when they returned from winter break on January 7. 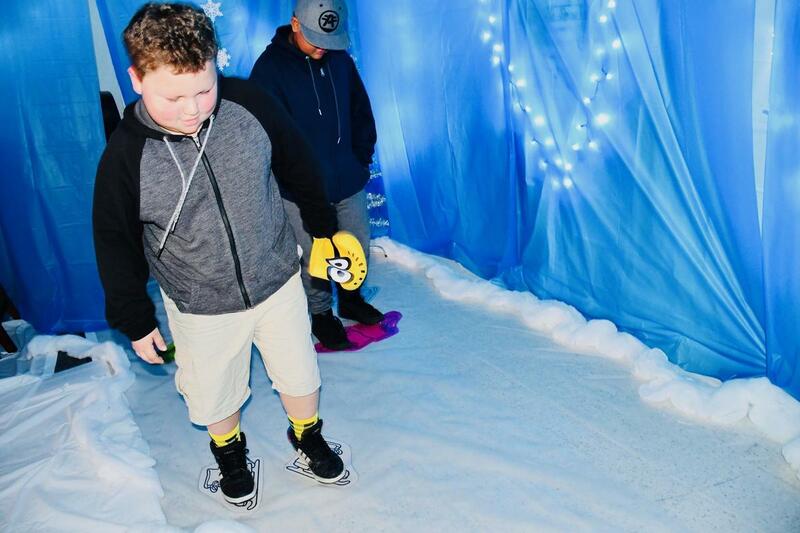 To their surprise, teachers had created winter wonderland-themed learning spaces brimming with snowmen and igloos, icicles, snowflakes – and even an ice-skating rink. Nine teachers jumped on the Rock Your School movement along with thousands of educators across the globe to set the stage to engage their students. 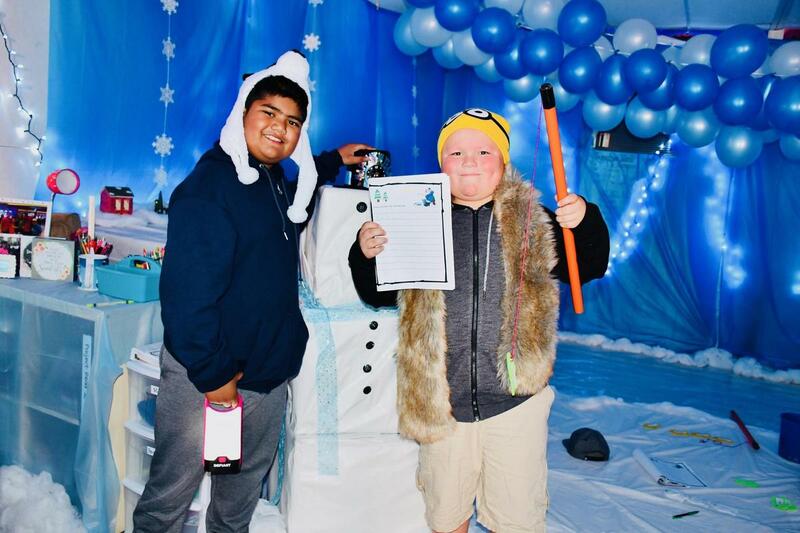 The group came up with a week of creative activities included ice fishing, snowmen building, snowball making, and a penguin bean bag toss to ring in the new year. 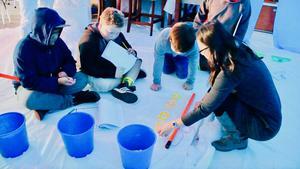 Special education teacher Julie Park was inspired to launch the out-of-the-box educational experience after attending the Get Your Teach On conference last summer. 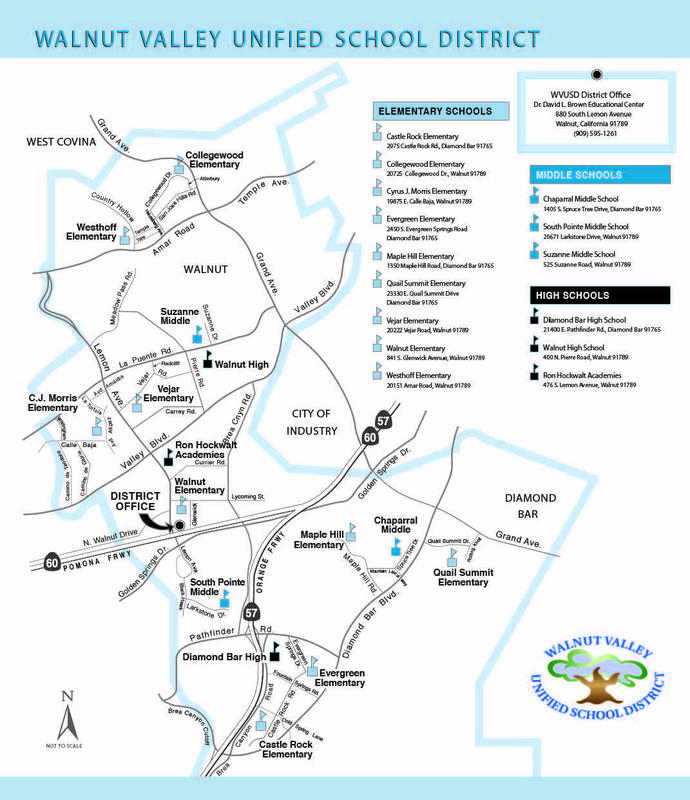 "We wanted to ensure that the first week of 2019 is a success for our students," Park said. 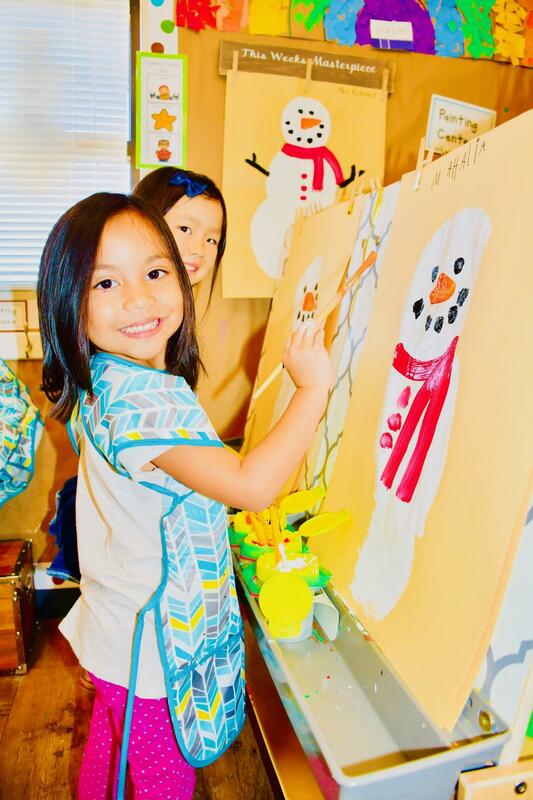 She captivated students' attention with Pinterest-inspired decorations and innovative transitional kindergarten (TK) through fifth grade curriculum created for the event. Children were eager to practice ice skating while sliding on a snow-capped plastic rink in her classroom. While ice fishing, students created sentences with words attached to each little felt catch of the day. "I got it on the first try!" exclaimed fourth grader Joseph Nemeth while still holding his fishing pole. "We went to eat ice cream after the play," he read after placing the fish in the correct order. "My favorite flavors are mint chocolate chip and spumoni!" Nemeth shared with classmate Noa Kongaika. The children also cracked codes during six Brain Break challenges including creating hexagon-shaped snowflakes from 16 cotton-tipped swabs. "They think it's a fun game, but they're actually using math, reading, and writing skills," Park said. "Kids just need excitement in the classroom and they'll learn anything!" she added. TK teacher Christa Richard said there were lots of "oohs and aahs" when the kids came in her decorated class on Monday. 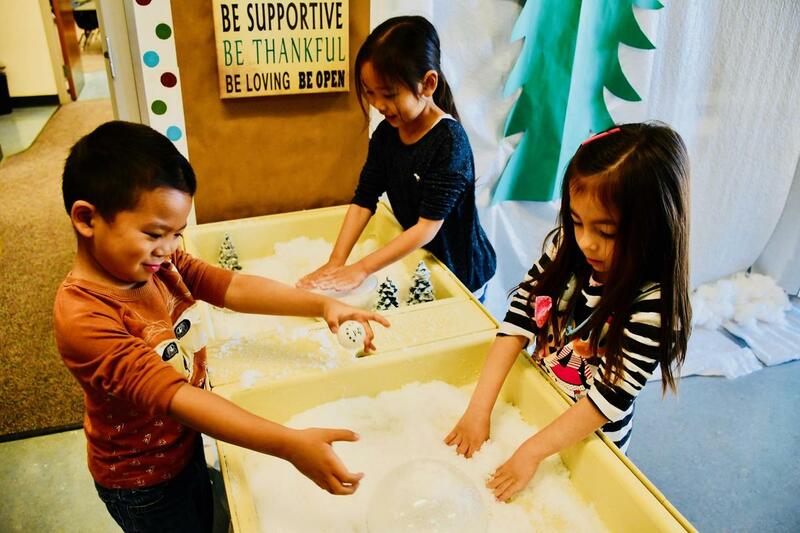 In just two days, they made snowflake necklaces, painted snowmen, played in (simulated) snow, and tossed paper snowballs at each other while practicing letters of the alphabet. The school's youngest children even learned about the states of matter with a melting snowman. "This is fun!" said five-year-old Nicole Park while designing a blue and white snowflake. 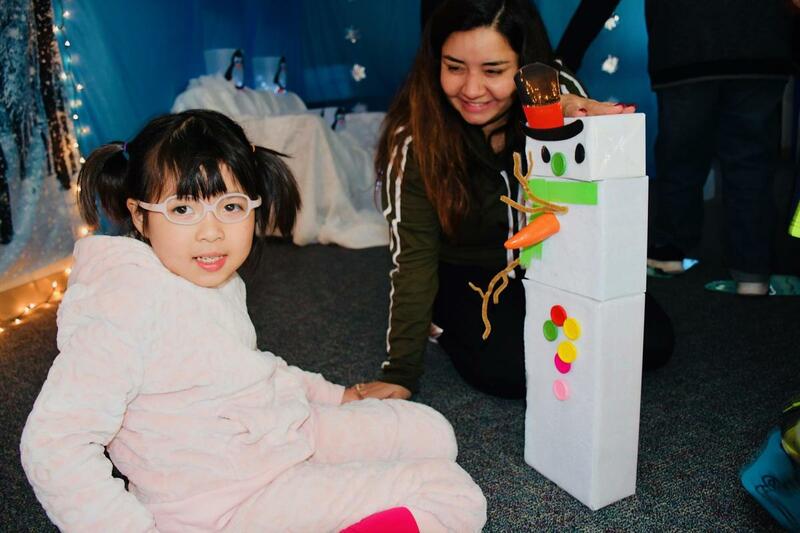 "We wanted to be a part of the experience," shared speech therapist Shannon Cooper before third-grade classes toured a classroom turned into a cozy log cabin. 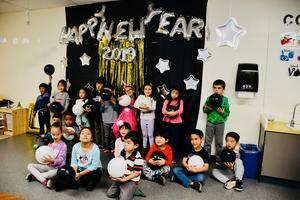 Kindergarten classes decided to throw a New Year's Eve party during the Rock Your School week. "My students had an absolute blast celebrating with our very own countdown, balloon drop, and dance party!" shared teacher Naomi Sunshine. During the week, festivities continued with themed centers and activities. "Their enthusiasm was priceless and I look forward to the next one!" she added. 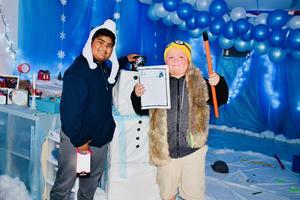 Castle Rock Elementary students join winter wonderland-themed activities during Rock Your School week held January 7-11. Fourth graders Joseph Nemeth and Noa Kongaika show off their ice-skating skills during Rock Your School week. 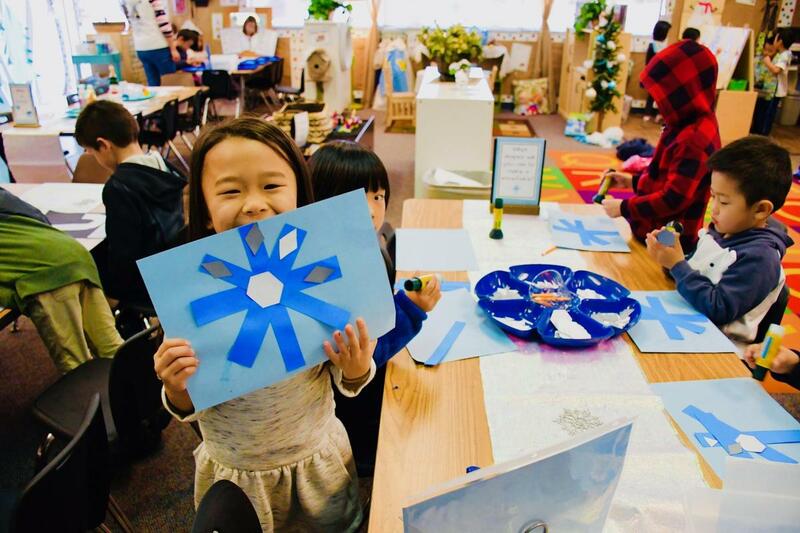 Castle Rock transitional kindergarten students make snowballs, create snowflakes, and paint snowmen on January 9. Igloos, Castle Rock teachers transformed classrooms into winter wonderland scenes for Rock Your School. Ice Fishing! Students make sentences with their catch of the day with teacher Julie Park. Kindergarteners ring in the new year during Rock Your School week.